What is Around the World in 80 Plates? Cooking and travel are two of my passions in life. I’ve travelled to over 40 countries and tried some amazing (and not so amazing) dishes. 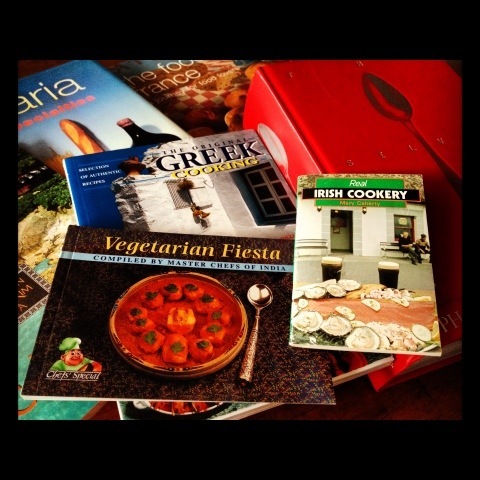 I’ve collected a stack of cookbooks along the way that are gathering dust on my shelf. At the moment travel is on a temporary hiatus due to the arrival of 2 year old Sophie and 12 week old Jack. So I’ve set myself a challenge to cook 80 dishes, both savoury and sweet, from the places I’ve been – as well as places I’ve still yet to go. I’ll publish the results here, along with the recipes, and any handy travel hints about that country that I’ve picked up over the years. For a bit of fun I’ll also link the dishes to festive occasions and holidays where I can. And I’m not adverse to making ‘cheats’ versions of classic dishes – hey with two littlies in tow I’m all about the quick and easy!